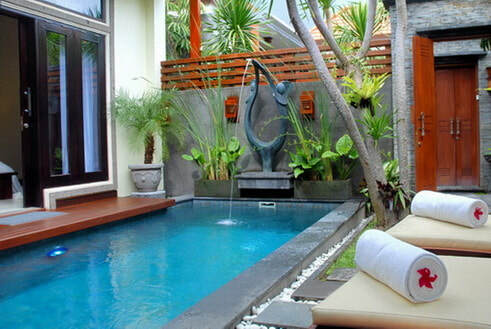 A combination between Balinese & Modern style with private pool on each villa, Private living room, private bath room & shower, Air conditioning, Hot & Cold Water. 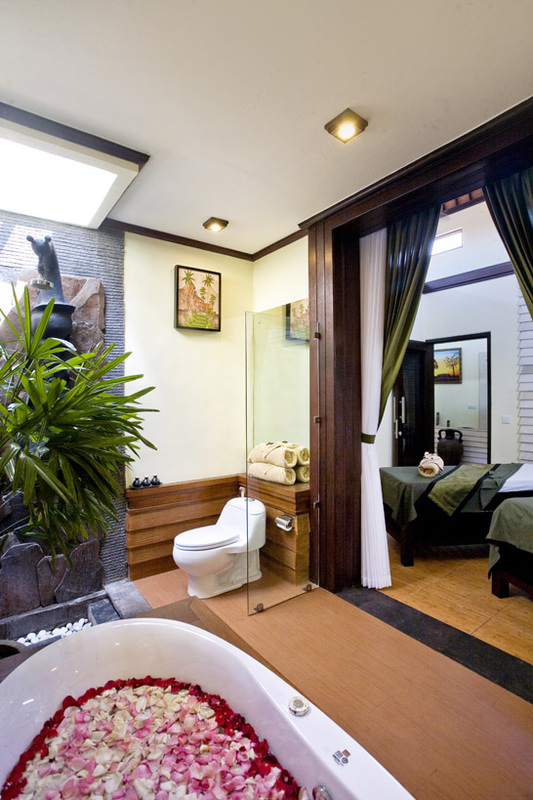 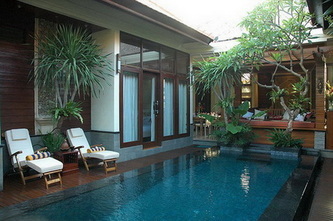 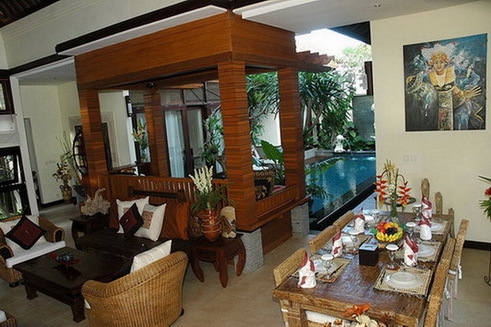 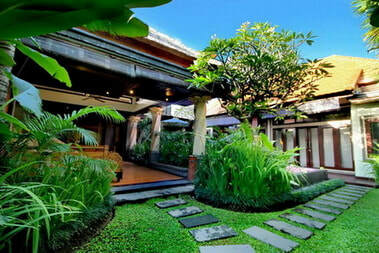 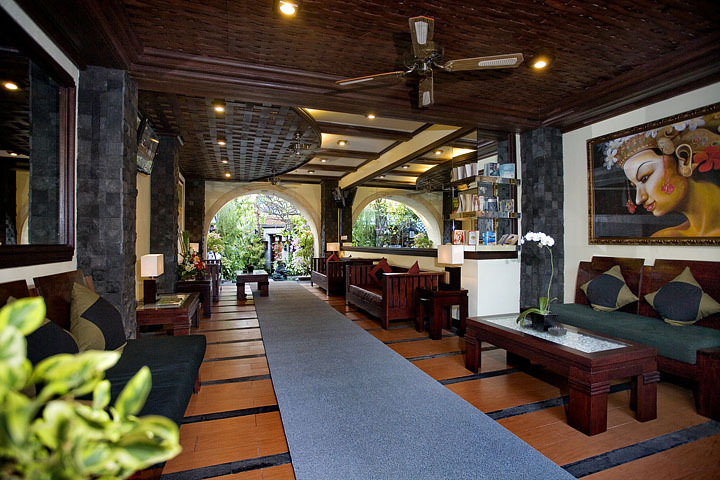 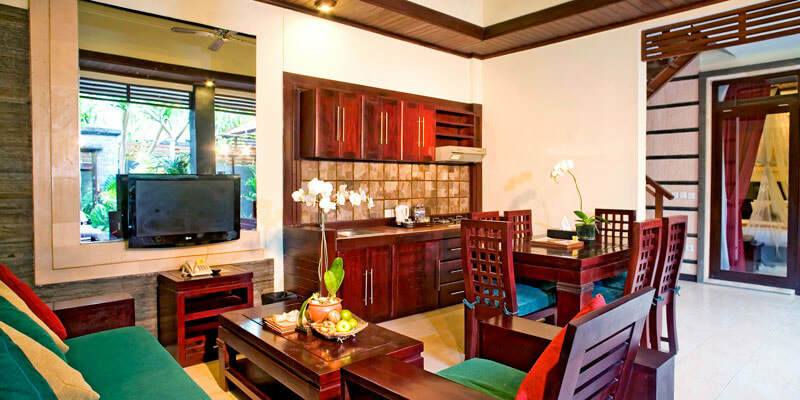 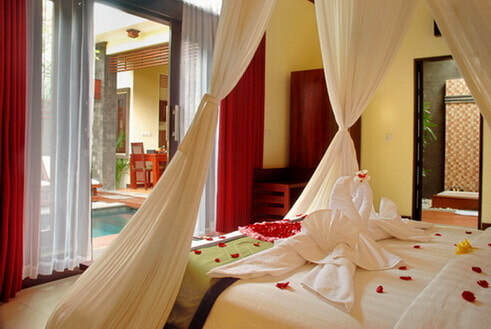 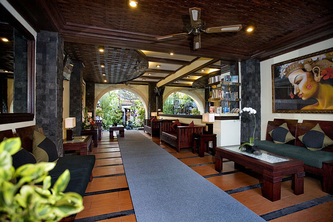 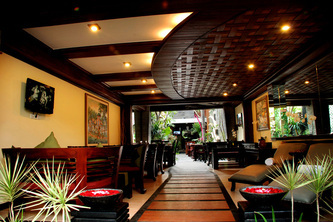 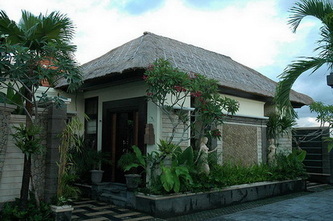 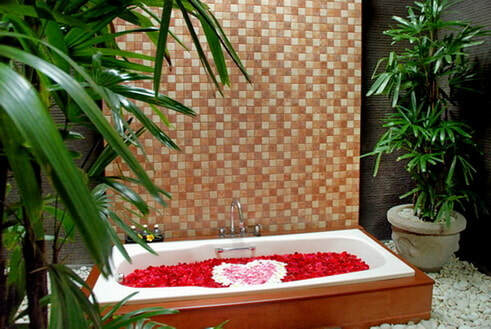 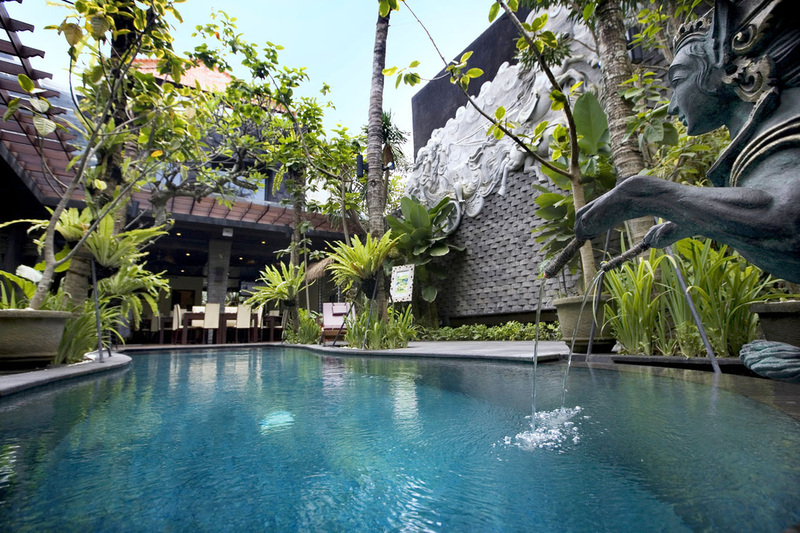 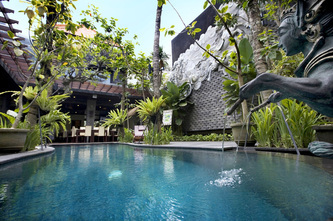 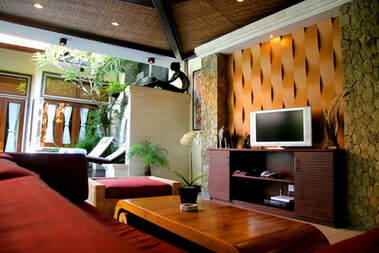 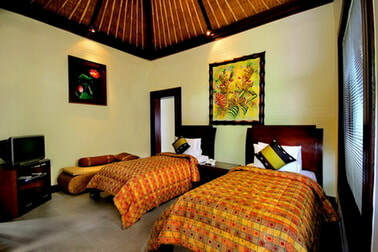 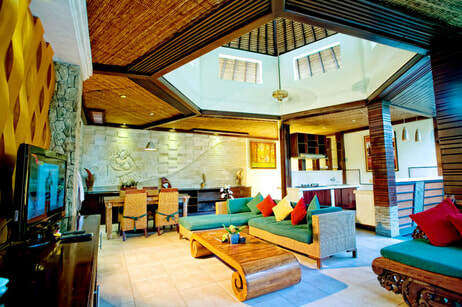 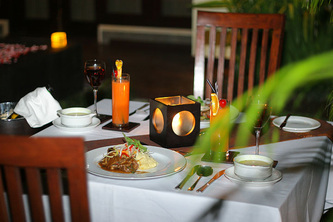 One Bedroom Private Pool Villa is a perfect choice for a couple who seeking for their own privacy. Individual control split Air conditioning, Private pool with sundeck, Integrated open air living and dining room with private pantry, Kitchenette with a gas hob, Mini Bar, Coffee & tea making facilities, Personal safety deposit box, IDD telephone, Large Flat Screen TV & DVD player in each room, Dining room in multi channel station, Writing desk, Weight scale, Iron and board – on request, Hair dryer, Touch light/Emergency light, Slippers, Bathrobe, Complimentary toiletries, Magnifying Mirror, 24hrs Free Wi-Fi service. 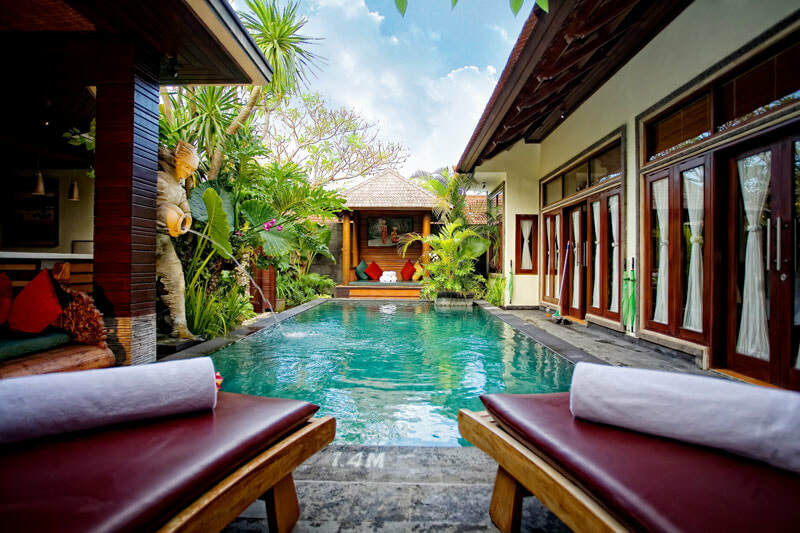 Four Bedroom Private Pool Villa completed with private living room overlooking the pool where you can enjoy the real Balinese ambiance during the sunny days plus private bath room on each room to completed your privacy. 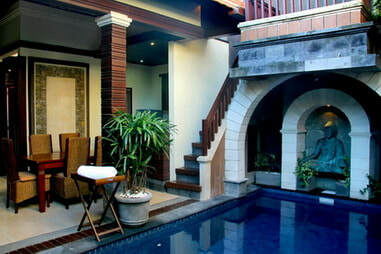 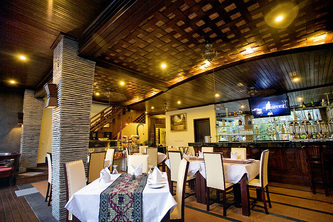 The Villa specially design for peoples who seeking the time together with family or friends during the days.